Android's ultimate bean flicking adventure has landed with Flick the Bean by PixelPerfectionists! In Flick the Bean, players can test their flicking skills by seeing how far they can launch a gleefully bouncing bean. By nailing gravity spots, the bean will continue to fly along toward the hole. Players who have enjoyed Android and iOS games such as Paper Toss, Toss It, or Can Knockdown will probably also enjoy playing Flick the Bean. Do you think you have what it takes to become the world's greatest bean flicking master? Download Flick the Bean for your Android device and see how you stack up on the global leaderboards (powered by Swarm). What are you waiting for? 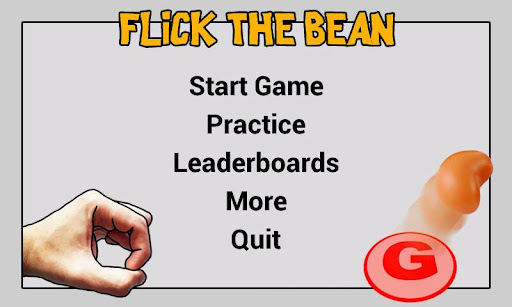 Grab Flick the Bean for Android from Google Play today!